Integration of SWM with other activities viz. 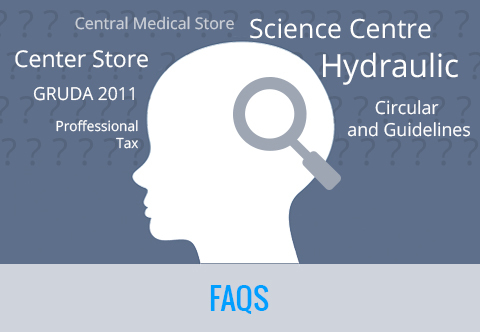 sewerage, water supply, health care, engineering departments, etc. Emphasis was laid on Complaint redressal system, Grievance redressal system, Litter prevention system, Slum Upgradation & Rehabilitation, Field work, Daily meeting in this regard, etc. Financial commitment : Equipment, Vehicles, communication. 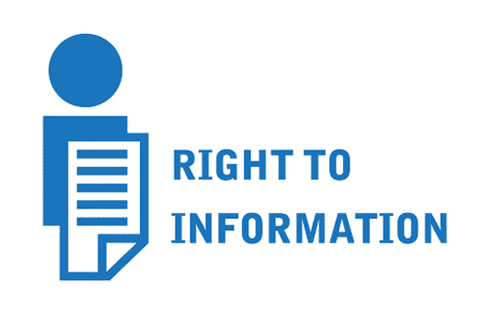 Involving citizens : Positive involvement, penalizing truants, creating public awareness. Door to Door collection system. Night scraping & brushing activity. To comply the MSW Rule 2016 Door to Door garbage collection system is made operative from 2004 in seven zones covering almost whole area of the city. 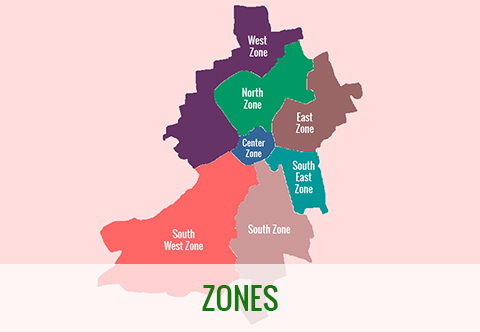 There are Five different agencies working in Eight zones. The tenure of contract is up to year 2022. 1 Central M/s Jigar Transport Co.
5 West Western Imaginary Transcon Pvt. Ltd.
6 South-West Global Waste Management Cell Pvt. Ltd.
Transportation and Recycling / Processing of recyclable waste from Material Recovery Facility (MRF) under Swachh Bharat Mission. 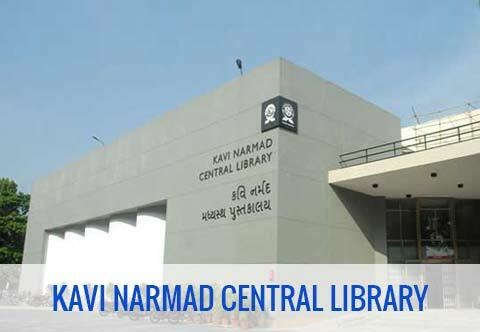 Area covered – More than 5 Lac Sq. Mt. Minimum Rs. 1600/- per society. Total activity organized by president of housing colonies. Area considered for Grant in Aid: 25% of lay out area. Municipal Solid Waste collected through primary collection system reaches to the Semi closed body transfer station of the respective zone from where it is being sent to the Khajod Disposal transported through close body container in a mechanically compacted way. No. of Transfer Station All Eight Transfer stations are operational. Facility at Transfer Station All the primary collecting vehicles from Door to Door Garbage collection and sweeping activity reaches to transfer station from where secondary transportation vehicles are loaded for the purpose of transferring it to disposal site. Primary collecting vehicles sent to the Elevated Platform through Ramp. Chutes are provided at Elevated Platform to receive the MSW from where it is unloaded by primary collection vehicles. Secondary transport vehicle is kept underneath the chutes. MSW unloaded from primary collection vehicles is transferred into the closed container provided with compactor system. The chute portion of transfer station is covered on the top with FRP sheet and whole structure is kept closed with concrete louvered blocks. Transportation of container is carried out on Hook lifting vehicles. MSW received through closed vehicles is dropped to closed containers without secondary handling. Covered leak proof container preventing spillage of garbage on the road. No foul odour, as transfer station is semi-closed and transport containers are fully closed. No MSW storage, permanently or temporary, at transfer station as it will be directly transferred to containers without secondary handling, therefore no flies nuisance & animals entry is restricted. Separate leachate collecting system is provided. 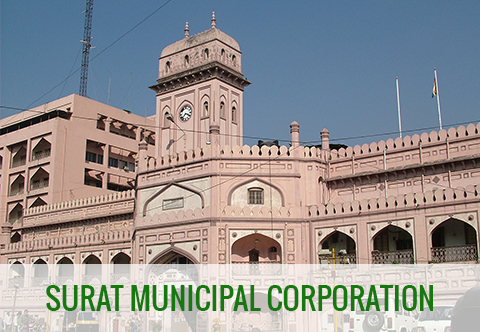 The integrated MSW treatment process of Surat Municipal Corporation is to find the best possible technology and scientific solution for the perennial garbage disposal problem for the city through Public Private Partnership. 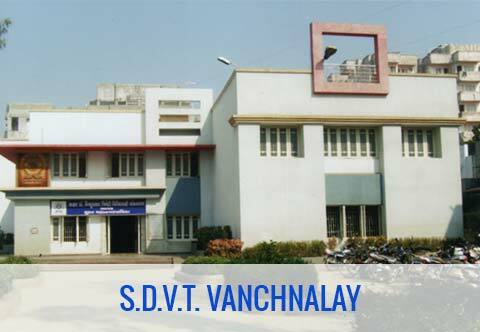 The integrated treatment technology promoted by Saurashtra Enviro Projects Pvt Ltd. Surat was selected as most appropriate technology for treatment of MSW. The agency has installed the facility on BOOT basis for concession period of 02 years. The quantity agreed for agency is minimum 600MT per day subjected to maximum treatment of 5,00,000.00 MT for treatment. Investment by agency for construction, operation and maintenance. Concession period agreed is 02 years. All the permissions, NOC, Consent to follow up the prevailing Rules and regulations is with the agency. S.M.C. giving recommendation letters as and when required without taking inancial responsibility. Capacity of plant is 600 M.T. per Day against total generation of approx 2000 M.T. per Day. Land provided is 25 hectors. Dry organic material(35-40%) – RDF. Recyclables (3-5%) – Plastic, MS and rubber items. Concession Agreement Signed by Surat Municipal Corporation with Agency named En-Vision Enviro Engineers –Surat to establish, operate and maintain the centralized Biomedical waste treatment facility, Now it is name as En-cler Bio Medical Waste Pvt. Ltd.
Every Urban Health Centers & Hospitals in town with population less than 30 lakhs with numbers of beds between 50 & 500 must have treatment facility on or before 31st December 2002. Municipal authorities in large cities should check feasibility of setting up common hospital waste treatment facility. It is not economically feasible for small unit to establish treatment facility. Pilot survey conducted to get the estimated quantity of waste generation. Decision for common treatment facility on BOOT base with treatment charge as Rs.10/- per Kg. taken. Private Practioners were asked to join the common treatment facility. Tenders on BOOT base were invited in Aug.2001. Open house discussion with beneficiaries was held to discuss contents of tenders. Allotment of land admeasuring 4200 sq.mt. at token rent of Re.1/- per sq.mt. per annum. Minimum 200 Kg. per day of bio-medical waste Kept as guaranteed quantity to be deposited by SMC. Decision to extend contract for period of 14 years beyond 31/12/2009 is taken. 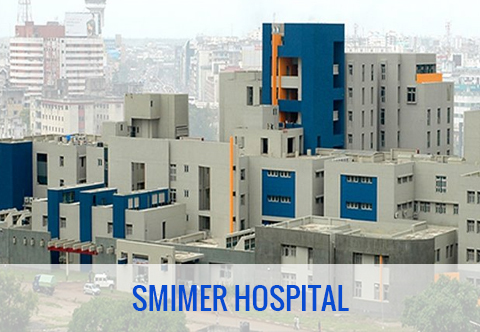 SMC shall not allow any other agency to establish treatment facility within Municipal area. Provision for entering in to an agreement with private health care units. Provision of room for collection of BMW at all the UHCs of Municipal Corporation. Facility to be in strict adherence to BMW (M & H) Rules. Incineration – 1 Unit with dual chamber - 200 kg./hr. 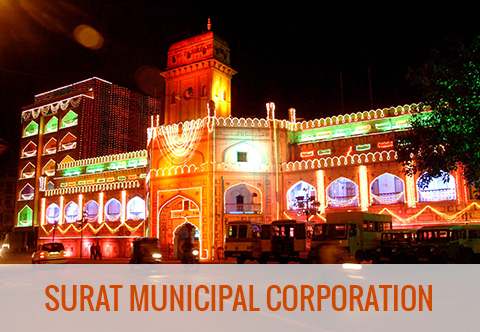 Concession Agreement Signed by Surat Municipal Corporation with Agency named Eco Vision resources L.L.P for 15 years concession period. 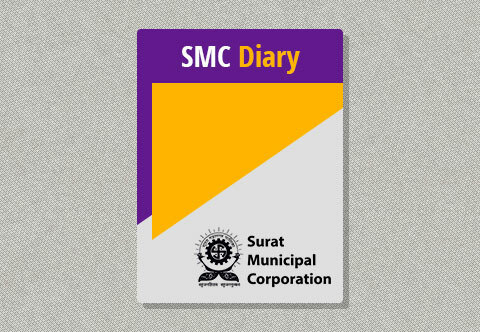 SMC has provided 2 acre land on token rent at Bhatar. Agency is producing at moment. Minimum one collection centre per zone has been established and operated by agency. Tie-up with rag pickers and NGO has been done by agency to lift street level plastic. Neither SMC is paying tipping fee to agency nor is the agency paying any royalty to SMC. Plant is commissioned from June-2017 with capacity of 20 TPD. There are various stream of organic waste generation Hotel and Restaurant Kitchen Vegetable and Non-vegetable Municipal Markets & Slaughter Houses Municipal as well as private gardens Cattle farms Waste from all the streams will be collected separately and transported to proposed process plant. 01 TPD organic waste processing plant has been started at Anjana transfer station. Policy regarding installation of OWC units at society level has been formulated in accordance with MSW rules-2016. And unit rate for 50kg, 100kg, 150kg, 200kg and 250 kg is formulated vide Std. Comm. Res. No. 2050/2016, dt. 22/12/2016. Strict penalty action has to be initiated by health department. Around 25 Nos. of OWC units, is installed at different Vegetable and Non-vegetable Municipal Markets & Slaughter Houses. Project mode is on PPP mode with 20 years concession period and Overall 300 TPD Plant Set up by SPV named Surat Precast Green Pvt. Ltd.
SMC provided 3 acre land on token rent at Kosad. Agency will produce various construction material such sand, block , Paver block etc. Agency will collect collection charges directly from Users/ Generator Agency will deploy GPS based vehicles for efficient monitoring. 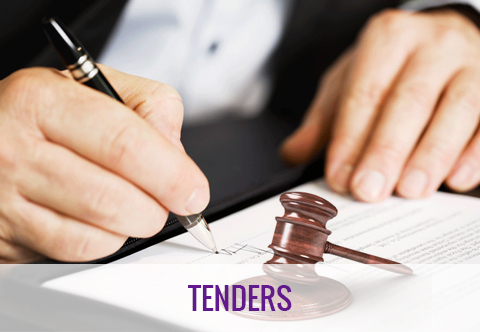 SMC will make compulsory for utilization of 20% recycle products in all of the tenders as per the guideline of SBM. Plant is commissioned from Feb-2019 with capacity of 300 TPD. SMC has started the work for scientific closure of accumulated waste at cost of Approximately Rs. 52 Cr under swachhbharat mission, which was dumped open by SMC during the period of year 2001-2006. The work will be completed by July 2019. Every local body has to design develop, Build and operate the scientific land fill site, as prescribed in MSW Rule – 2000 and SWM Rules - 2016 to disposed their Waste into it. 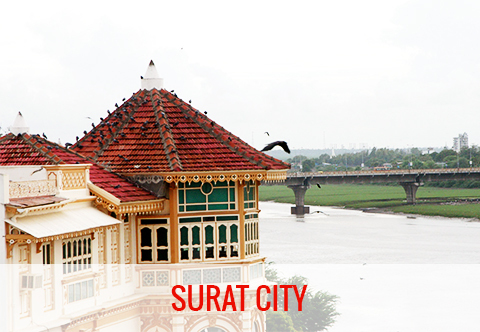 Surat Municipal Corporation (SMC) initiated Waste to Energy project during year 2001 – 2002. To receive the inert which was supposed to be generated after processing of MSW, SMC started construction of scientific land fill site simultaneously. As such the project of Municipal Waste to Energy could not start during 2002 due to technical reasons, but the land fill construction was completed during year 2002. 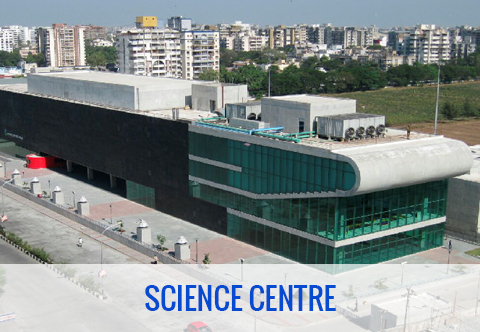 SMC was first at that time to develop scientific land fill site in the country with a capacity of 1.25 lac cu.mt. with cost of Rs. 131 lacs whose capacity exhausted in 2011, and the same SLF is been under extension work at present having capacity of 6,00,000 m3 at cost of 21 Cr under Swachh Bharat Mission. Meanwhile since 2011, 2nd SLF cell capacity of 6,25,000 cu.mt. is constructed under JnNURM scheme. This SLF cell also in under utilization. 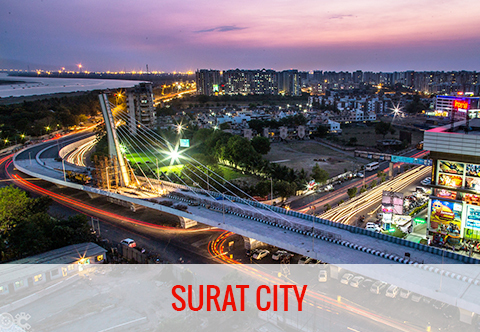 City has been expanding very fast and to meet the future demand and to meet current Challengers, Surat Municipal Corporation has issued work order for 1200 TPD Waste to RDF to Energy as per Gujarat Waste to Energy Policy to M/s. Abellon Clean Energy Pvt. Ltd. The plant will be developed at bamroli. In order to meet future challenges SMC is Planning to Implement the MSW processing plant with new Methodology rather than previous PPP mode and Implementation Methodology is under Planning Stage. In order to meet future challenges SMC is Planning to Implement the MSW processing plant for various stream of organic waste generation Hotel and Restaurant Kitchen Vegetable and Non-vegetable Municipal Markets & Slaughter Houses Municipal as well as private gardens Cattle farms.